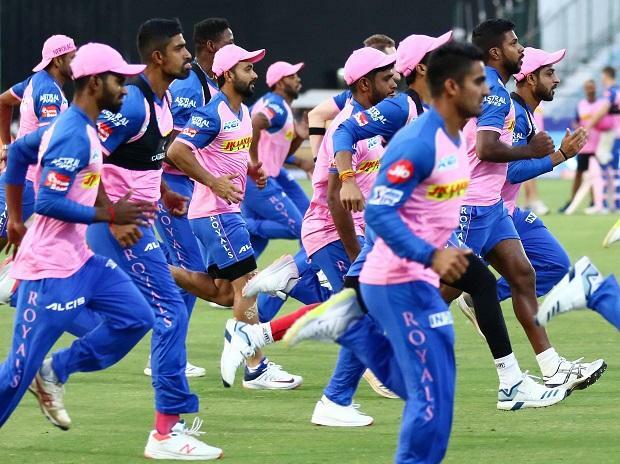 In Match 4 of VIVO Indian Premier League 2019 (IPL 2019), Rajasthan Royals will start their IPL campaign against Kings XI Punjab (KXIP) at Sawai Mansingh Stadium in Jaipur. All eyes will be on Steve Smith as returns to the IPL fold after the ball-tampering row kept him away from the field last year. Smith was handed a one-year ban, along with his then-deputy David Warner, exactly a year ago, for their role in a ball-tampering scandal in South Africa. Smith was last seen in action in a couple of Bangladesh Premier League (BPL) matches late last year before an elbow injury ruled him out of the tournament. The ban was limited to state and international fixtures only and not domestic or club cricket. The IPL this time is expected to be the actual start of his long road to redemption, and Smith will be looking to make the most of this opportunity ahead of the World Cup, starting May 30 in England. Smith, though, is yet to recover fully from his elbow injury and may take some time to get back into the groove. British all-rounder Ben Stokes and Jos Buttler are also important assets for the team, but they will not be available after April 25 under a diktat from the England and Wales Cricket Board (ECB) because of the World Cup. Rajasthan would be keen to win enough matches before they leave for national duty. Stokes will once again be key in both batting and bowling departments, while the Kings would be expecting their all-rounder Sam Curran to be on the top of his game tomorrow. Their bowling also has a reasonable depth, with speedster Jaydev Unadkat eyeing a slot in the Indian team for the World Cup. Varun Aaron, Dhawal Kulkarni, Jofra Archer, Ish Sodhi and a few others will add variety and options to Royals for different conditions. R Ashwin-led Punjab side would rely heavily on their openers Chris Gayle and K L Rahul to provide them a fiery start, and if swashbuckling West Indian opener happens to be in his elements, Kings XI might be able to draw the first blood. KXIP playing 11: Ravichandran Ashwin, Varun Chakaravarthy, Mohammed Shami, Chris Gayle, Andrew Tye, K L Rahul, Mayank Agarwal, Mujeeb Ur Rahman, Karun Nair, Moises Henriques, Arshdeep Singh. RR vs KXIP match live streaming will be available live on Star Sports 1 HD, Star Sports 1 in English Commentary and Star Gold in Hindi Commentary. One can also live stream the RR vs KXIP match on Hotstar app and website.